Watsonville is a charming city along California's Central Coast. Annual special events include the Strawberry Festival, which serves up strawberry-based delicacies, and the Santa Cruz County Fair. More than two dozen public parks are offered throughout the city, with levee trails surrounding the Pajaro River available for use by joggers and bikers. Gizdich Ranch is a charming historic ranch in Watsonville, founded in 1937 by Croatian immigrant Vincent John Gizdich as an apple orchard and animal farm. Today, the farm is under fourth-generation family management and is open to the public seven days a week during business hours, operating as a pick-your-own-fruit business since the 1960s. Visitors can peruse the faculty's orchards and pick their own berries and apples at their leisure, with pre-picked fruits also available for purchase. More than 16 varieties of year-round and seasonal pies are available at the Eata Nita Pie Shop, including sugar-free pies and holiday pies. Homemade jams and apple juice are also sold, along with unique Olallie hybrid berry flavored ice creams. Sunset State Beach is a popular year-round beach on Monterey Bay, stretching approximately one and a half miles west of the city of Watsonville. The beach, which is accessible for a nominal day-use fee, is bordered by Manresa State Beach and is an important nesting habitat for Western snowy plovers, which nest directly within the beach's sands. It serves as a popular fishing spot for striped bass, surf perch, and sardines and offers a remote-control glider port for use throughout the year. Picnic ramadas may be reserved for special event use, with day-use picnic tables available on a bluff overlook near Manresa State Beach. RV and tent camping is permitted at dune-protected family sites, with ranger-led programming offered throughout the summer season, including nature hikes and campfire programming. The Santa Cruz County Fairgrounds are the home of the annual Santa Cruz County Fair and Horse Show, which is held over five days in mid-September and brings rides, games, 4H shows, and fantastic fair food vendors to the venue. The fair, which has been held every year since 1885, has been presented at its current fairground location since 1941, incorporating agricultural exhibits the same year. More than 30 annual horse shows are also hosted at the venue each year, including international championship rodeos. A concert venue at the fairgrounds brings in major international pop and rock acts, including renowned performers such as Joan Jett and Whitesnake. Visitors can also rent the historic 1870s Rodgers House for private special events, including weddings and receptions. Mount Madonna County Park is one of Santa Clara County's most beautiful outdoor recreational areas, spanning more than 4,600 acres throughout the redwood forest areas of the Santa Cruz Mountains. The park, which is located along Highway 152 near the city of Gilroy, offers more than 14 miles of trails for hikers and horseback riders, including a mile-long self-guided nature trail exploring the ruins of the former summer home of cattle rancher Henry Miller. Horseback trail ride excursions are offered at Mount Madonna Stables, while open archery practice is available at a spacious archery range. Overnight camping is available for tents and RVs, with yurt campsites also available with reservation. An amphitheater presents live concerts and special events during the summer months, and a visitor center showcases exhibits on the region's geologic and cultural history. Pinto Lake County Park is a 183-acre regional park that offers a wide variety of day-use recreational facilities for Watsonville residents and visitors, including a large lake with a fishing pier for public use. A disc golf course is available, along with soccer fields and a reservable baseball field for community games and organizations. Children's playgrounds are available for young visitors, with nature trails surrounding the lake available for walkers and joggers to use daily. Two large picnic pavilions may be reserved for private special events, with a daily drop-in picnic area available for small group use. Other attractions include the public art project Turtle Dove, created by regional artist Robert Castro in cooperation with youth participating in the city's Job Training Partnership Act program. Skydive Surfcity Santa Cruz is one of California's premiere skydiving companies, located conveniently between the San Francisco and San Jose metro areas in Watsonville. 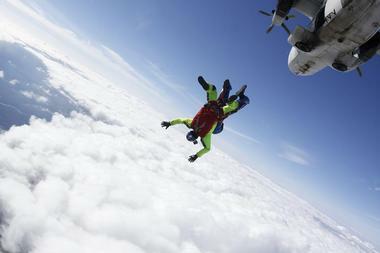 The company offers unique tandem skydiving experiences, perfect for amateur skydivers embarking on beginner jumps to pair with a more experienced diver. Spectacular views of nearby Monterey Bay are offered on all jumps, with views as far away as the Santa Cruz Beach Boardwalk and Half Moon Bay offered on clear days. The company prioritizes safety for all customer experiences, with all excursions led by experienced instructors with current certifications. Photo and video opportunities are available to add on to flight packages to preserve dive memories. Palm Beach State Park is a popular day-use area of the beautiful Sunset State Beach, offering a separate entrance for visitors looking to take advantage of grassed-in park facilities during their day at the beach. The Monterey Bay park area is located near the beautiful Pajaro Dunes Resort, overlooking grassy beachfront dune areas that may be hiked as part of self-guided excursions. Fishing is permitted at the park at several areas, with picnic facilities and barbecue grills available for visitor day use. Lifeguards are staffed on duty at the park and beach throughout the summer months, with public restrooms and showers available for use. Dogs are permitted within the beach and park areas on leashes, though they must be kept away from condominiums and personal residences at the nearby resort. Free parking is offered on nearby streets throughout the area. 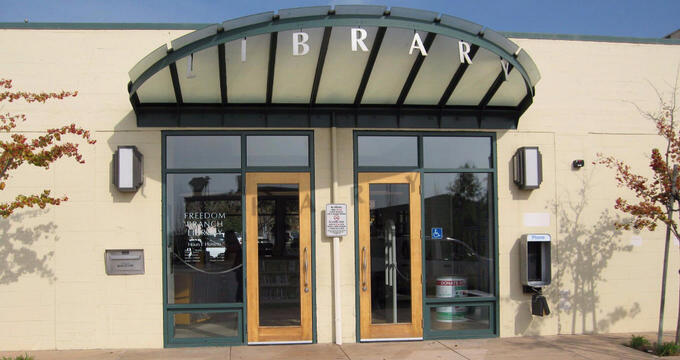 The Pajaro Valley Historical Association is Watsonville's premiere historical society, originally established in 1940 to preserve and promote the cultural history of the Monterey Bay region. 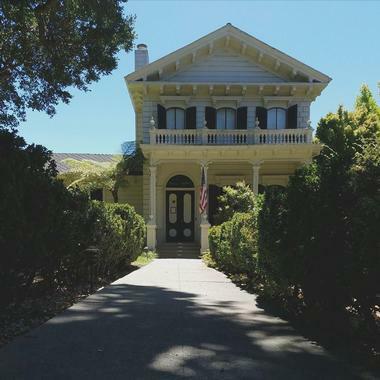 Since 1997, the nonprofit organization has been headquartered out of the historic Bockius-Orr House, constructed in 1870 and listed on the National Register of Historic Places. Visitors can explore the home on Tuesday, Wednesday, and Thursday afternoons or by appointment, with a suggested donation requested to help maintain future museum operations. Rotating exhibits are showcased on the home's first floor, including rotating collections of historic military and civilian clothing from the 19th and 20th centuries. The society's research center also showcases a significant collection of local genealogies, civic documents, oral histories, and antique items. 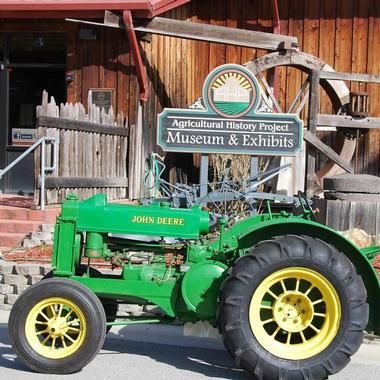 The Agricultural History Project Center and Museum is a nonprofit museum in Watsonville that strives to preserve the agricultural history of the Central California Coast and educate visitors on agriculture's connection to economy and ethnic cultures. The museum, which was founded in 1986 and opened its doors in 2004, is open to the public on the second Saturday of each month during the afternoon hours, with visits available by appointment for small groups Tuesdays through Saturdays. Exhibits span four buildings across 20,000 square feet recreating the everyday farm and ranch experience along the Central Coast during the late 19th and early 20th centuries, detailing farming practices and cultures of the region. Organized exhibits are showcased at the Codiga Center and Museum, with artifacts on display at the Porter Implement Shed and the Snyder Building, and the facility's two-story California-style barn. Farm Discovery at Live Earth is a nonprofit farm educational organization headquartered at Live Earth Farm, a working CSA organic farm that spans 150 acres throughout the Pajaro Valley. The farm strives to empower Watsonville-area residents to develop healthy eating habits and arm regional communities with knowledge of sustainable food and farming practices. Educational programming is offered for youth and families, including field trip opportunities tailored to meet Common Core curriculum standards. A Family Farm Day and Wee Ones event is offered on the first Friday of each month between March and October, encouraging young participants to develop an early relationship with nature and healthy eating. Other programs include homeschool days, children's farm camps, and farm immersion overnight stay events for students. 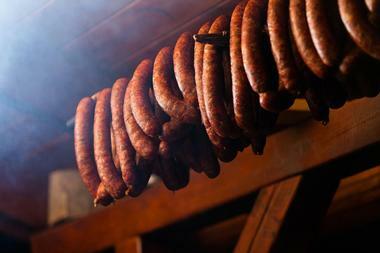 » Corralitos Market and Sausage Co.
Corralitos Market and Sausage Co. is a regional meat market in Watsonville open to the public seven days a week, selling a wide variety of fresh and smoked meat products. Though the Corralitos Market dates back to the turn of the 20th century, the current incarnation of the sausage company was founded in 1957 by Joe Cutler, who purchased the market and its smokehouse from former owner Jim Prendergast. Today, the company is a member of the Monterey Bay Certified Farmers Markets association and the California Association of Meat Processors, known for its award-winning smoked sausages, produced in more than 30 varieties. Additional products include marinated chicken, beef, and pork cuts, along with smoked salmon, fresh meat products, and beef jerky. Cowboys Corner Café is a homestyle restaurant in Watsonville, opened to the public in 2006 by Juan and Paula Diaz. The family-owned restaurant strives to craft casual dining favorites with a personal touch, open for breakfast and lunch service daily. Homemade breakfast favorites available beginning at 6:00am include unique varieties of egg scrambles, omelettes, hotcakes, and French toast, along with specialties such as Western-style burritos, ranchero plates, and sausage gravy platters. 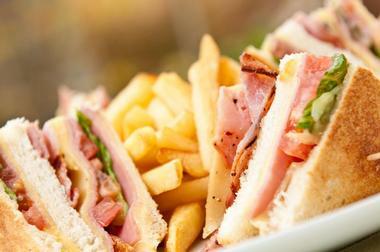 At lunch, diners can choose from a variety of clever burgers, classic deli sandwiches, and salads, along with specialties such as quesadillas, patty melts, and barbecue chicken. Full children's and senior menus are available, along with a selection of fountain beverages and desserts, including milkshakes and root beer floats. 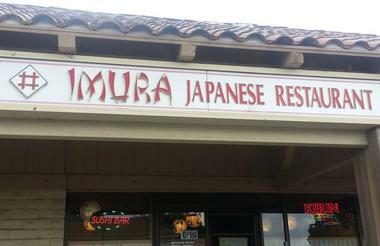 Imura Japanese Restaurant is a delicious Asian restaurant in Watsonville, originally opened in 1992 by the Song family. Today, the restaurant serves up a wide variety of Japanese and Asian fusion favorites, including combination bento boxes available at both lunch and dinner. Tempura platters are available, along with beef, chicken, and tofu sukiyaki dinners served with house salads. Teriyaki options range from traditional beef, chicken, salmon, and tofu to chicken katsu, tonkatsu pork cutlets, and chosan tofu with house garlic sauce. An extensive sushi and sashimi menu is also available, along with shioyaki dinners, udon, ramen, and a wide variety of Korean specialty platters, including bibimbap, duk mandu guk, hwe dup bap, and marinated galbi beef short ribs. Cilantro's Parrilla Y Cantina is a modern Mexican-style restaurant in Watsonville serving up award-winning cuisine following in the tradition of Santa Cruz's popular El Palomar restaurant. The restaurant, which utilizes authentic family recipes crafted with fresh, high-quality ingredients, is open to the public for brunch, lunch, and dinner service Tuesdays through Sundays. 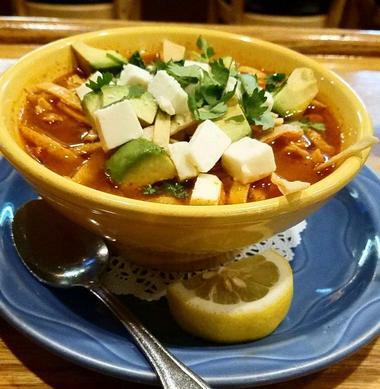 Traditional Mexican favorites served include specialty enchiladas, fajitas, burritos, tostadas, and chile rellenos, with combination platters available. At brunch, diners can choose from south-of-the-border favorites such as huevos rancheros, chilaquiles, and gringo breakfasts with ribeye steak. Draft beer, local wine, and Mexican-style cocktails are available at the restaurant's cantina, which hosts live entertainment on the weekends. Sanka Mochan Hanuman Temple is a sacred Hindu temple located at the Mount Madonna Center, a volunteer-run community center in Watsonville originally established in 1978. The temple was established in 2003 by practicing silent monk Baba Hari Dass, who hails from northern India's Kumaon region. The temple is open to the public between 6:00am and 7:00pm daily, with worship reservations required on weekends and holidays. Food, alcohol, smoking, and cell phones are prohibited within the temple to preserve its peaceful atmosphere. The Mount Madonna Center is also home to a number of retreat and community center facilities for yoga and wellness, along with an accredited private K-12 school and a post-secondary collegiate institute for yoga and ayurveda students.